Destiny, the video game that won Peter Dinklage an Emmy, is now full of hidden secrets, some of which you’ll probably never find on your own. Today, for example, players discovered a hidden mission inside another mission that’s A) super-difficult, B) super-rewarding, and C) unlike anything else in vanilla Destiny. If you beat it, you’ll get an exotic sniper rifle called Black Spindle that’s a year-two version of the popular Black Hammer. Like its predecessor, Black Spindle regenerates ammo if you get enough critical hits (although remember: Black Hammer was nerfed just before The Taken King, and that ammo now comes from your reserves rather than the ether). 1) Launch the daily heroic story mission, Lost to Light. 2) Play through as quickly as possible—without wiping—until you get to the third door of the escape route (you know—the one that requires three relics to open). 3) Instead of going through that door, go past it and turn into where you find the Fallen ketch in the Taniks strike (The Shadow Thief). 4) If you made it in time, your Ghost will say something about a Fallen transmission, and then you’ll have 10 minutes to clear the entire ketch of Taken, which is way harder than it looks. Seriously, it’s tough as hell. Bring friends. If you run out of time, you’ll be booted back to orbit. Coolest thing about this? 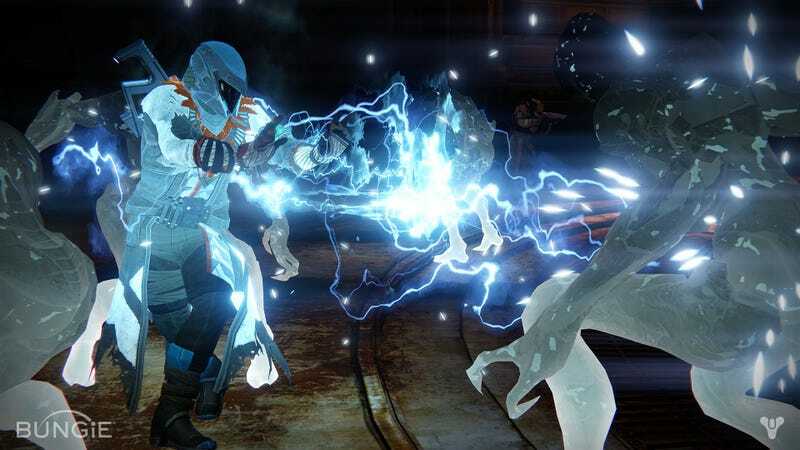 The Taken King has been out for over a week and we still haven’t uncovered all of its secrets. There might be all sorts of hidden tasks and cool rewards all throughout various planets and story missions. Destiny is so goddamned cool now. 1) According to Bungie designer Rob Engeln, this will only be available when this mission is the daily. 2) The light level is meant to be 290, not 310. Bungie’s going to nerf it soon.